"Circles’ is like going back to square one where we started from, and having that same energy, excitement and passion about what we do." - Tra Daniels. Hi Traa, how are you today? I’m doing good man. It’s just great to be on tour, period! The fans have been amazing. We’re promoting a new record called ‘Circles’, so it’s really exciting actually. We haven’t been over here for a while doing our own thing as a headlining act, so it’s been amazing. A lot of people have the record so, they’re singing the songs, which is cool! It’s been a blessing. Is there anywhere in particular that you’ve been looking forward to playing? Ireland was actually one of the main places we were really looking forward to coming to; here in Belfast, and we played last night in Limerick, which was really cool. So yeah, Belfast was definitely high on our list of places to see, and Dublin too. As you mentioned, ‘Circles’ was released in November 2018. We’ve been doing this together as a band for 27 years, and ‘Circles’ is kind of like full circle. It’s like going back to square one where we started from, and kind of having that same energy, excitement and passion about what we do. ‘Circles’ is something that P.O.D.’s been doing for a long time, and that’s just mixing it up; different styles of music. We’ve always been very open and just a mash of a lot of different styles of music. I come from a funk / jazz background as a bass player, Wuv [Bernardo, drummer] is very like, The Police and a little bit of Metal up in there too. 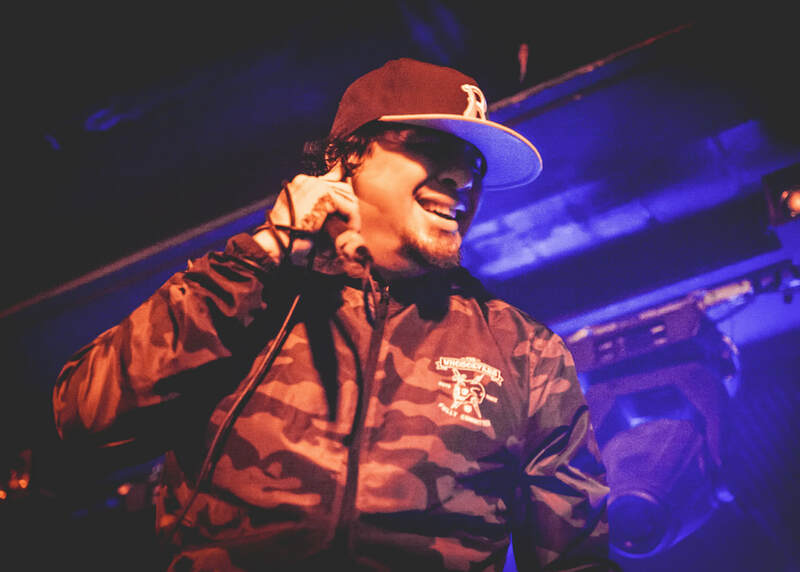 Sonny [Sandoval, vocalist] is very hip-hop and reggae, stuff like that, and Marcos [Curiel, lead guitarist] has always been like straight up metal and punk. So we put all those thing together and I think that on this record we’ve kind of touched on all of those different flavours, but we’ve stayed P.O.D. Of course, we’re a multiracial band too, so I think that kind of adds to an interesting mash up. But we still keep it high energy, and there’s greats songs, great melodies; it’s what P.O.D. does, in a positive vibe. Going back to the very beginning, and how did you become a member of P.O.D.? I was actually playing in a funk band at the time with Wuv and Sonny’s uncle, back in 1993 and they had a different bass player before me who left. They had a couple of shows coming up at the Whiskey [A Go Go] and the Roxy in L.A., and they needed someone to fill in on bass, so they called me up about a week before the show and asked me to fill in. I went up and practised the songs with the band and I never left. Their uncle was a little upset about it, but hey, that’s what happened, and it’s been the same for twenty-seven years. The band’s debut album ‘Snuff the Punk’ was released back in 1994; how has your music evolved since then? If you listen to those early records, we were young and our songs were long! We had like, seven verses, six choruses, and these extra-long bridges. We were just loving playing loud music, but I would definitely say we’ve honed and matured our style as writers. It definitely has had a progression from where we were then. 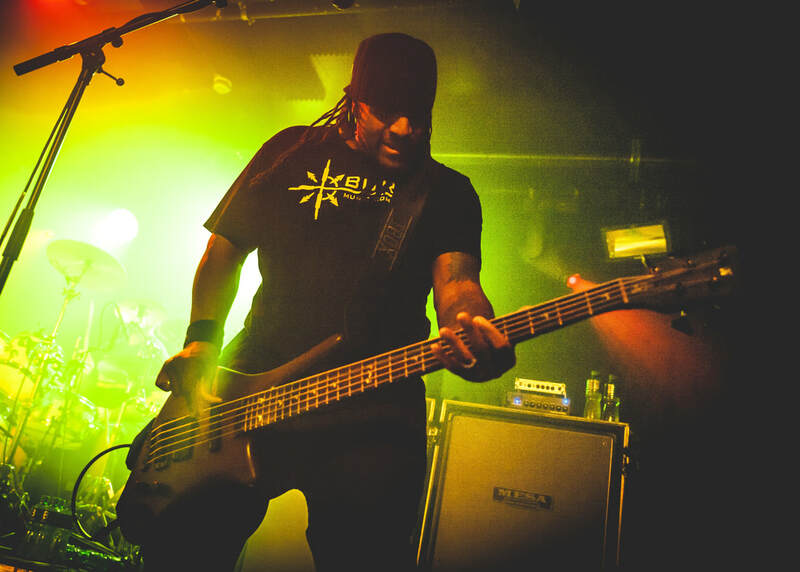 We’re believer’s in Christ - our band has always been based on a spiritual belief in Christianity - but back then, we were a lot more militant about it, which I would say we’re not quite as militant about it now, but the message is still there. We do things a little bit differently now, but the Faith is still there. Did you ever imagine in those early days that P.O.D. would become as big as you have? No, not even close! When we were first doing it, we were just practising in our drummer’s garage. We thought we’d only get to play a few gigs here and there. Of course, back then we had a message and a reason why we were doing things; we were just hoping that we would be helping out some of our homies that were having a hard go at life, and just bringing a positive message into the world. But we never thought it would get to where it has. And then to say, back then, to still be together twenty-seven years later? We did not see that coming! To be doing it how we’re doing it is a blessing in itself. What’s the song-writing process like in P.O.D.? It kind of happens a lot of different ways, but normally Marcos and I get together and start sketching out some ideas. That’s how we’ve done it for the last few albums. Marcos will go home and just start writing guitar riffs which are really cool. We’ll sit down and have Pro Tools rigged up at my house or we’ll go to the studio, and we’ll just start recording and adding pieces. Sometimes Sonny and Wuv will bring a few ideas into the mix, and we’ll just start building on it from there, but nine times out of ten, a song starts with a riff that Marcos has come up with. What has been the biggest challenge the band has faced in those twenty-seven years? I would say one of the biggest challenges we’ve always had is just band communication. We’ve been with each other for so long now we’re like brothers, but it’s not always easy to be upfront and honest with each other. It’s a big challenge to just come together as four people and make some really hard decisions at times. Communication is always a challenge for a lot of people, and we’re no exception to the rule. Another challenge would be leaving home and being away for so long; it’s definitely been a challenge as equally as everything else. As a Christian band, have you come up against any obstacles? Yes, it’s weird because we’ve never considered ourselves as a Christin band. Personally, when I joined the band, I didn’t even know there was such a thing. When I think of a Christian band, I think of a band that play music for Christians; P.O.D. has always been believers, but we’ve never considered ourselves as a Christian band. That’s the reason we went out into the world to be a light in a dark place at times, and not just be like everybody else. But the hardest thing in the beginning stages for us was that as a band we knew we had a calling to do what we’re doing, and it felt like the Christians were the ones that turned on us the most in America. We went to do Ozzfest, which is where we should have been, playing in a secular show, and the church was burning our CDs and they weren’t playing our music anymore because they felt that we shouldn’t have been there. So our biggest opposition hasn’t necessarily been normal, regular people, but actually it’s been our own people in the church. It’s not so bad now, but there’s still evidence of the opposition being there. Moving on, and is there anyone that you would like to collaborate with that you haven’t yet? If you had asked me this question ten years ago, I could have told you a whole bunch of people. But we’ve worked with most of the people we wanted to collaborate with. 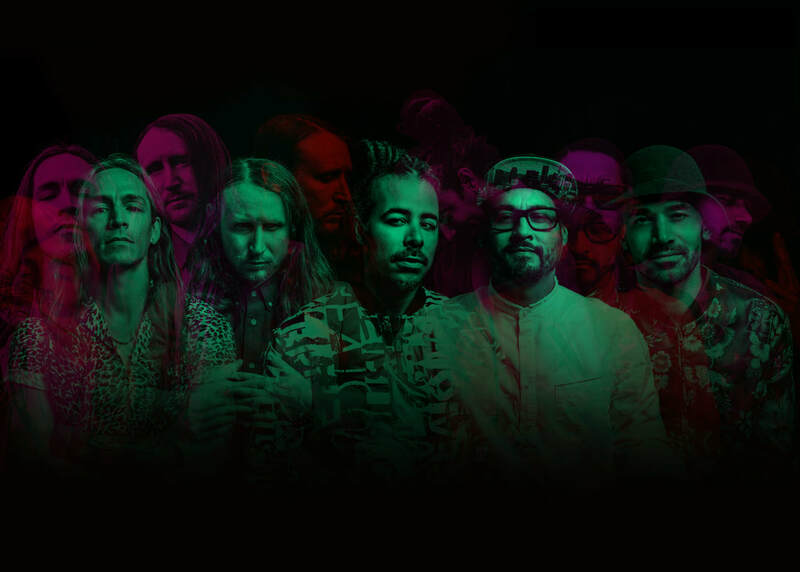 Personally, if I had to choose one person, dead or alive, I would have to say Bob Marley would be one of the most wanted that this band would want to work with. But there’s still a lot of others out there; Marcos would probably say something like Metallica! If you hadn’t become a musician, what do you reckon you’d be doing right now? I was in the air force as an avionics technician, working on aircrafts, so I would have stayed in for twenty years if I didn’t become a musician, and when I had gotten out, I probably would have wound up just being some sort of geeky electrician! If not that, I probably would have become an EMT (Emergency Medical Technician); I like helping people. What has been your best experience of being part of the band? There’s a lot of them, but I would have to say when it got to a point where we came home and nobody had to struggle anymore; everyone was able to put their kids through college and feel financially stable. It’s not all just about money, but to just get to that point helped a lot. New year’s eve in New York was amazing! MTV was that whole era and there was so many different things that happened, but to be on TV/MTV and look to my right and see all my guys was just amazing. We started out as this small band and now, here we are playing on TRL on MTV on New Year’s Eve in New York, so that would definitely be one of them. As for best performance, there’s a lot of those too, but probably playing Rock Am Ring in Europe. There was around 250,000 people there, I don’t think I’d ever seen that many people in once place, so that was amazing. We played the same day that the Eurhythmics played as well as Sting, and to just be surrounded by all these people at Rock Am Ring was just like, WOW!! Bottom Line; it’s not the easiest road to take, but just never give up. Anything that’s worth doing is worth overdoing. If you want it bad enough and your passionate enough, you can get whatever you want, but you just have to keep doing it. 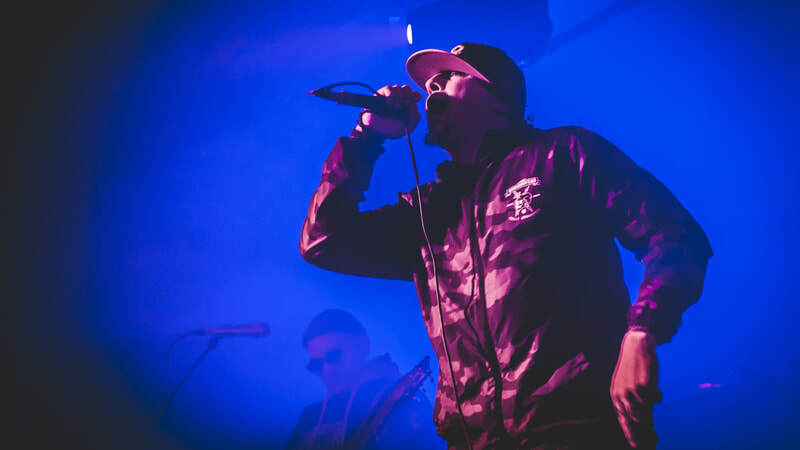 Back to what’s happening currently, and what’s next for P.O.D. when the tour ends? We’re going to be home for a couple of weeks, but we’ve got a few dates in the States; we’re playing Florida, the Carolina’s and then we fly to Mexico the week after that for a show. For the most part we’re going to be on tour for the rest of the year though, so we’re going to go back home and then we head out with a band called Nonpoint in late Spring, and our plan is to come back here in the Fall, maybe somewhere around October / November. I would just say that at the end of the day, we’re all just one people and people get mixed up. They think that your purpose in life is to serve you, but it’s not. Your purpose in life is to serve other people. That’s the reason why we’re here, we’re not here for ourselves, we’re here to meet people and make a difference in their lives, and I think if more people thought like that, I think the world would be a better place, and music is an avenue that we use to do that. ​Like this article? Like us on FaceBook and follow us on Twitter for regular updates & more of the same. 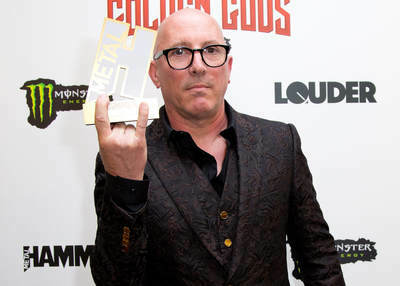 EXCLUSIVE: Mayhard James Keenan Talks All Things A Perfect Circle. Incubus Chat ‘8’ & the Difficult Process of Replacing a Founder Member.